Every single Linux distros is a collection of standard and something other tools at the core. Ubuntu, being one of the most popular ones, offers the most popular and powerful Linux tools in the wild. “killall” is such a powerful tool at your disposal. Let’s find out what you can do with “killall”. It’s just like “kill” but with a lot more power in the pocket. It’s a CLI tool. Caution is a must as a wrong command can completely render your system useless. According to the man page of “killall”, the tool sends a signal to the target processes. Without specifying the signal type, the default is SIGTERM. 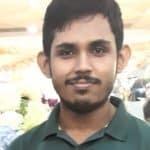 If “killall” is able to kill at least 1 process matching the requirements, it returns a zero return code. You can’t kill a “killall” process. This is the most basic usage of “killall” command. All you have to do is just pass the name of the process. When you’re running “killall” commands, there’s a pretty good chance that you’re about to kill something unintended. You have to use the “-i” flag. Generally, “killall” is a case-sensitive tool, so make sure that you type the name correctly. If you want to force killall as case-insensitive, use “-I” flag. For finding out the available signal list, use the “-l” flag. 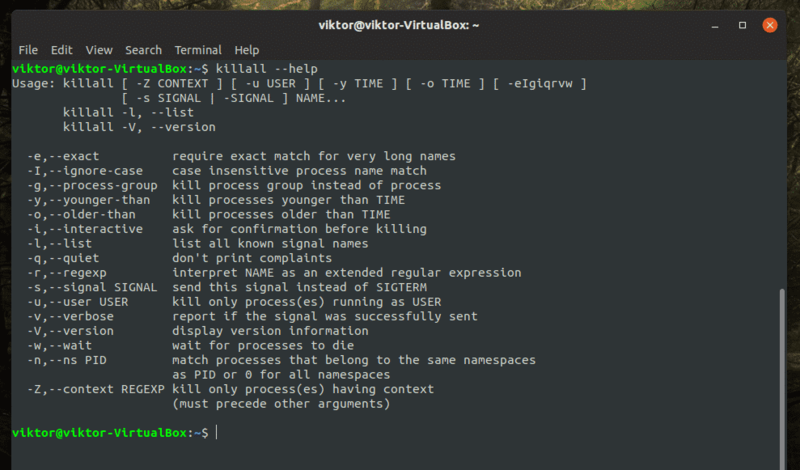 You can also tell “killall” to terminate the processes depending on their time of running! This command will kill all the processes that have been running for more than 2 hours. This command will kill all the processes that are younger than 2 hours. This is a very risky thing to do and may even render your system useless unless you restart it. Make sure that you have all your important tasks finished. 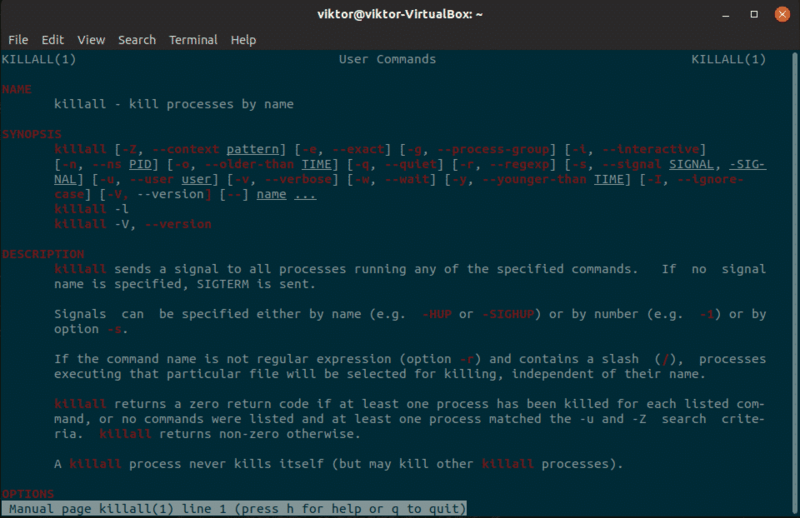 This command will kill everything under the user “viktor”. For an in-depth explanation of every single parameter and options, the man page is the best option. You can export the man page to a separate text file for reading later.